If moving large amounts of water is vital in your industry, a chemical process pump can satisfy your needs. They are typically manufactured as heavy-duty centrifugal pumps, used to move fluids that are detrimental to both people and nature. They are also manufactured as positive displacement pumps for moving water and less corrosive fluids. 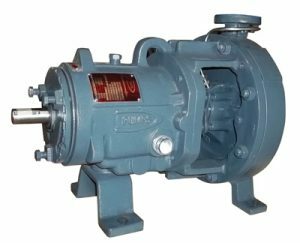 An ANSI pump is a tool used in industrial work, especially within the hydrocarbon processing industry. An ANSI pump can fall into one of several categories: end suction, vertical turbine, multi-stage horizontal split case, and a host of others. If you work in an industry that requires the moving of large quantities of liquid, a chemical process pump is the ideal machine for completing the task. Industries commonly utilizing chemical process pumps. Contact the Phantom Sales Group for more information about our chemical process pump. Though these devices are a necessity for a number of different industries, purchasing them doesn’t have to put the company under financial stress.